The workshop ‘Comparing Africa’s Copperbelt’ was the first project seminar of our ‘Comparing the Copperbelt’ project. 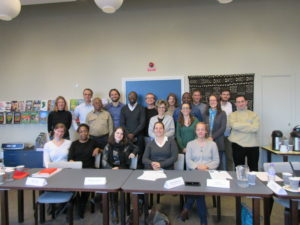 It was held at the Nordic Africa Institute in Uppsala on 5-6 December, 2016 with the conceptual and organizational help of Patience Mususa from Uppsala. It was a path-breaking event for the Copperbelt research community as a whole as it brought together researchers from various disciplines ranging from history to anthropology and from human geography to architecture. Among those attending there were established Copperbelt researchers based on the African continent as well as PhD and early career researchers. It was the first event of its kind that was exclusively dedicated to the copper mining towns dotted along the border of Zambia and the DR Congo. Being part of it felt like a fantastic opportunity to benefit from a room filled with impressive expertise on the region! While much of the existing literature on the Central African mining industries has been confined by the boundaries of the nation-state, thus ignoring cross-border movements and flows of people, capital and ideas, the contributions to this workshop introduced a comparative cross-border angle, which sought to understand both sides of the border in one analytical framework. As the great bulk of contributions showed, there is much ground for fruitful comparison between the Congolese and Zambian copper towns, despite the existing differences in the Francophone and Anglophone bodies of literature. The comparative paper by DONATIEN DIBWE DIA MWEMBU (University of Lubumbashi, DR Congo) which reflected on cultural and political associations in the mining towns on both sides of the colonial border, was exemplary for such an approach. In a similar vein, MILES LARMER (University of Oxford) demonstrated in his paper on post-colonial Zambian diplomacy how deeply the identity formation of Zambian citizens was influenced by their cross-border movements and residency in Congolese copper towns – to an extent that their self-perception would at times clash with Zambian official ‘national identity’. In his vivid portrayal of white communities on both sides of the border, DUNCAN MONEY (University of the Free State) argued that the developments in the racialized employment structure of the mining industry on each side of the border was influenced by the respective prospects across the border. A number of papers sought to develop established themes in Copperbelt historiography, such as mining and trading in the old and new Copperbelt. Yet this was done in an explicitly comparative cross-border perspective. For example by ENID GUENE (University of Cologne) in her presentation on cross-border trade and labour migration and HELENE BLASZKIEWICZ (University of Lyon) in her portrayal of trade flows in the Zambian borderlands as well as by LENNERT JONGH (Stockholm University) in his depiction of informal vendors on the Zambian Copperbelt. Both ESTHER UZAR (University of Basel) and RITA KESSELRING (University of Basel) brought the state back into the picture. Rita Kesselring argued for the importance to study the local state’s involvement in the politics of mining towns on the new Zambian Copperbelt. She maintained that the presence of the local state is mostly neglected in studies of mining companies. Hers was a carefully balanced approach, sensitive to conceptual issues regarding the language of her informants and sources. There was also considerable interest into non-economic histories. Topics ranged from cultural history to a conceptualization of imagined space. In a vivid paper on football on the Copperbelt throughout the twentieth century, HIKABWA CHIPANDE (University of Zambia) gave insight into processes of social change through the lens of sport and leisure activities. Convenor PATIENCE MUSUSA’s unconventional architecture-inspired conceptualization of the planning vision for a new urban settlement for mining staff gave way to the larger question of the imagination of space in a landscape that has long been determined in terms of its mineral wealth, not its people. Finally, the workshop presented the unique opportunity for Benjamin Rubbers’ research team (University of Liège) and for ourselves from Oxford to introduce our new ERC-funded research projects dealing with the Central African Copperbelt respectively to an audience of experts. Rubbers’ project, WORKINMINING deals with the notion of paternalism and its moral economy, a concept long known and discussed in African history, and its transformation within the mining industry from an anthropological perspective. Our own Oxford-based ‘Comparing the Copperbelt’ project led by Miles Larmer looks at the period from 1950-1990, focusing on aspects of the environmental and cultural history on both sides of the border. While both projects examine the same region, they highlight complementary aspects and time periods of a cross-border history of the two mining areas, thus allowing for an extremely fruitful atmosphere of academic exchange and discussion among the researchers involved. A direct outcome of the workshop was the decision to establish a Copperbelt research network in the form of a mailing list to facilitate future co-operation and communication and as a platform for sharing information and posing questions to an informed expert audience. The mailing list is open to academics, activists and the general audience. While run by Oxford University, the steering group of the mailing list is composed of researchers from Zambian, Congolese and European research institutions. 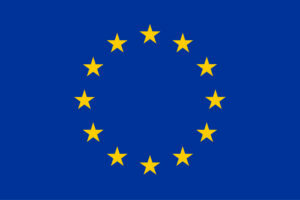 We are looking forward to exciting research and fruitful co-operation between institutions on the African continent as well as in continental Europe and the UK.